Mahesh [name changed] still remembers that day. It was in 2005 that doctors told him he was HIV positive. His heart skipped a beat and the ground seemed to slip away right beneath him. His first thought was of family – his wife and daughter. Shakambari was a year old then, but life just seemed to make sense to him after she was born. He began to worry about her future. Mahesh had quit his job as a peon in a government office and had taken up a small car rental business. He managed to buy a used car and earned just enough to make the ends meet. To add to his worries, soon his wife Radha too tested positive. Treatment expenses took a heavy toll on the family budget. He sold his car to try and meet the ever increasing expenses. Even when he was losing grip on finances, he knew that he had to somehow live – for his daughter. With the help of a friend, he found out about the government antiretroviral centre in Nagpur. It was more than 150 kilometers away from his home in Chandrapur. To reach there he and his wife had to spend an entire day in transit. Bereft of options they endured the long and expensive travel for next two years. It was in 2007 he took up work as a bus driver at Thapar School in BGPPL, Chandrapur. Little did he know that BILT would soon open an antiretroviral centre in its premises.Ever since the centre was established, he and his wife were regular visitors to the centre. They accessed counseling, CD4 tests and antiretroviral drugs from the centre and soon were part of the outreach continuum of care initiatives as well. 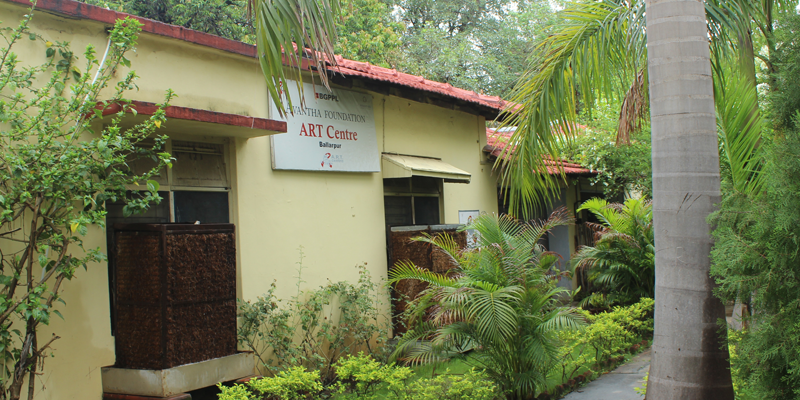 The centre is run by Sulochana Thapar Foundation in partnership with the National AIDS Control Organization. Services are offered free of cost. “I feel like at home here”, Mahesh says. “I am thankful to the staff at the centre and the Foundation for taking care of us like family. Our lives have changed. More than anything else, we now believe that our lives are important. We know that HIV wouldn’t kill us as much as negativity and depression would. We are now able to live for our daughter and rejoice seeing her grow up. “I want to begin my car rental business again” says Mahesh with a smile.